Paranoid pop music group BIG DATA has released a series of web shorts amplifying a modern advent of artificial intelligence: his upgraded forthcoming album BIG DATA 3.0. BIG DATA and directing team GHOST + COW (John Carlucci and Brandon LaGanke) directed and co-wrote the shorts, edited by Geordie Anderson, with sound design and mix by Sonic Union’s Brian Goodheart. A parody of the uptick of modern smart home devices, the clips introduce “L1ZY,” an AI assistant capable of learning anything and everything–including a handful of things it shouldn’t. 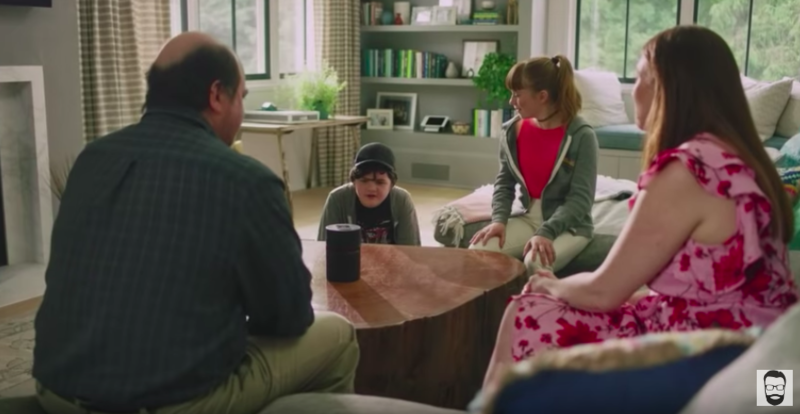 Running ‘BIG DATA 3.0,’ the darkly satirical tool (akin to “Black Mirror” themes) seamlessly syncs with a suburban family’s various schedules, needs and wishes, until L1ZY’s gentle instructions take sinister turns. It isn’t long before the household finds themselves overtaken by BIG DATA 3.0, L1ZY gradually fulfilling their needs until AI consumes them entirely. Sonic Union helps marketers craft their brand messages by delivering true excellence in sound. In our renowned and inspiring spaces, we enjoy collaborating with ad agencies, content creators, editors, producers and directors – amplifying and refining their creative intent. Our all-original group of nine staff mix engineers/sound designers, dispersed between two locations in Union Square and Bryant Park, are deeply experienced in doing what they love, and well-supported all the way. The process and experience is as important to us as the final product. Thanks to our entire tight-knit and inspired team, Sonic Union is trusted with some of the highest profile commercial audio post work in the business.